APT offer competitively priced on SR20DET Rebuilds. We consider our Stage 1 engine to be entry level, eliminating the need to build an engine to standard spec. It is uprated in all the right places, keeping consideration to cost yet finding the balance needed to safely run in excess of 350bhp. For those that want that little bit more, we can add a few more choice parts, to become what we refer to as Stage 2. Our rebuilt engines are all stripped and fully inspected before proceeding with any rebuild. Any parts that are deemed as below spec or excessively worn are discarded. The parts, such as the Crank, Block and Conrods etc are then checked and measured precisely before being machined to accept the new Forged Pistons. We normally use Wiseco as they represent extremely good value for money. The Flywheel is refaced and if required, a bit of weight is shaved off it. Once the Crank and Conrods are brought up to spec, the whole Bottom End assembly is then Dynamically Balanced. Once this has taken place, the Engine is mounted onto one of our Engine Stands, where it is meticulously cleaned. All major threads, such as those for the Headbolts are chased, this ensures that we get accurate tightening Torques. All Oilways are cleared using a High Pressure Airline. Once we are satisfied that everything is surgically clean, we paint the Block. Our default colour for SR20 engines is Silver. Once the paint is dry we proceed to assemble the engine. Gary has a wealth of engine building experience and is highly meticulous. This ensures consistent results and the by-product of this is our now proven Stage 1 Engine. This engine is rated to approximately 350bhp and costs £3200. This price is fully fitted and based on exchange. We are able to enhance this spec to include further uprated items which then becomes a Stage 2 Engine. This engine will handle slightly more power, up to 400bhp, but is considered to be safer. The price of this build is £4200, again fully fitted and based on exchange. After this, we will happily spec an engine to your individual requirements for power figures beyond 500bhp and provide a full solution right through to Manifold, Turbo and Cam Choice. 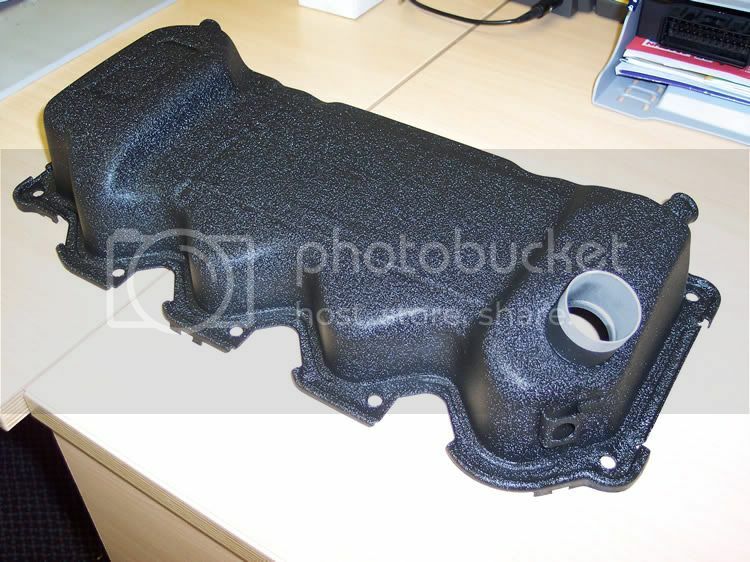 We are also able to, on request, have your Rocker Cover professionally Stripped, Prepared and Painted in a Colour of your choice. This additional service costs from £75 and really adds a fiishing touch to your new engine. We can also go further than this by advising, supplying and fitting Suspension Tuning, Brake Upgrades, Electronic Items, Mapping and much more. All we ask for is that the Exchange engine is in rebuildable condition. We are very fair in this respect. Please call or email us for further details of this. Shame I can't afford either of the engines yet! I could arrange for a Rocker Cover to be done for you. The cost may be slightly higher if not part of an Engine Build, depends on what Colour you want. Not everyones cup-of-tea, but looks superb in real life. As an amendment to this, we now also offer Stage 1 Plus and Stage 2 Plus spec's. This is simply the substitution of the Wiseco pistons with HKS items. This raises the cost to £3500 and £4500 respectively. This is merely to overcome the fact that we have not pushed the Wiseco's as far as we would be prepared to take the HKS pistons. So, a little more certainty in that area. Crankcase - Must be serviceable and able to be rebored within acceptable tolerance. No cracks present. Crank - Must be serviceable and straight. Depends on how bad the big-ends have worn as to how bad crank damage will be. Conrods - Must be serviceable and straight. Cylinder head - Must pass a crack test and height-check to verify that it hasn't been over-skimmed. Camshafts - These are usually OK, but any out-of-tolerance wear will render them scrap. If any of these area's become an issue, we will discuss this with you and try to reach an amicable solution. You will be given the opportunity to source replacement parts, which must also meet our (very fair) requirements. This is a scenario we have tried to avoid, but unfortunately cannot continue to absorb the costs involved in losing these parts. Do you guys machine/rebuild cylinder heads if you do could you pm me an email address to send some pictures hopefully you could "save" mine? As an amendment to this, we now also offer Stage 1 Plus and Stage 2 Plus spec's. This is simply the substitution of the Wiseco pistons with HKS items. This raises the cost to £3500 and £4500 respectively. 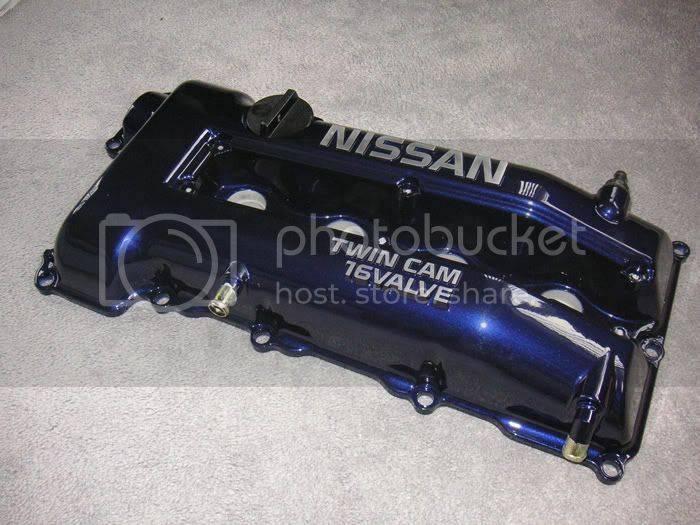 hi i'm not sure i f i should post it on here or pm you, but here it goes: i'd like you to price me to measeure and align hone maybe blue print bottom end on my sr20det. the spec is: cp oversized pistond and eagle rods with fresh rings cut to spec. acl std size rod and big end bearings std size micropolished crank and arp main and head studs (2 main studs at cap no 5 cut down to clear oil sump) i put it all together (except cyl. head) and crank wouldn't move then i think it needs an aligh hone as they do with arp mains and i suspect that journal no 1 and 2 are to tight although haven't plastigauged it yet. i'm struggling to find time to keep trying with it hence this post.